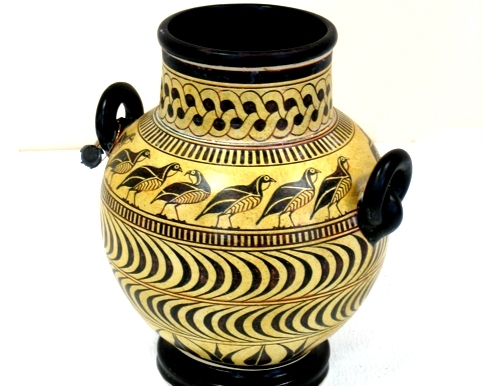 Exact museum reproduction of a fine ancient Greek Rhodian Geometric Vase. This vase features grouses.800 B.C. Archaelogical Museum of Rhodos, Greece.We take extra care in safely packing our pottery items to ensure safe delivery anywhere in the world. All our shipments are insured.